Fast printing, low energy use: Print at the pace of business—this printer is equipped with fast two-sided printing. Grab the documents you need and go. Print first pages in as fast as 7 seconds. Help save energy with HP Auto-On/Auto-Off Technology. Mobile printing made simple: Print from iPhone and iPad with AirPrint, which automatically scales jobs to the correct paper size. 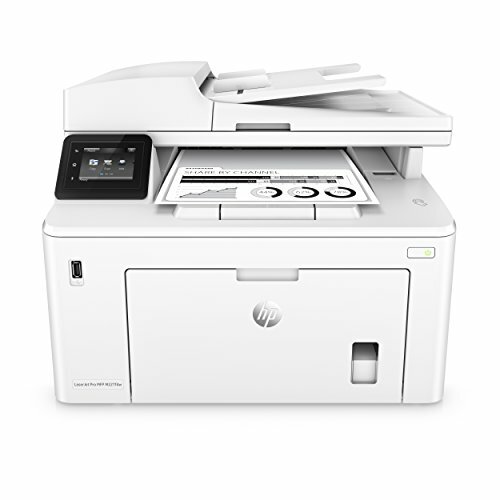 Print directly from your mobile device to your Wi-Fi Direct printer—without accessing the company network. Print with the ease of sending an email, right from a smartphone, tablet, or notebook, using HP ePrint. Send jobs from your smartphone, tablet, or PC to any company printer, using Google Cloud Print 2.0. Manage company-wide printing with confidence: Centralize control of your printing environment with HP Web Jetadmin—and help build business efficiency. Identify new devices and gain insight into printing with HP Web Jetadmin remote discovery and monitoring. Employ policy-based, fleet-wide protection features, using optional HP JetAdvantage Security Manager. HP quality—print after print: Produce sharp text, bold blacks, and crisp graphics with precision black toner. Don’t be fooled by alternatives that mimic Original HP. Innovative anti-fraud technology can help ensure you’re getting the quality you paid for. Print over 2x more pages than standard cartridges, using optional Original HP high-yield toner cartridges. Get more pages than ever before with page maximizer technology, and track remaining pages to help ensure you get what you paid for using print gauge technology.